Egypt has depended upon oil and gas for years to provide electricity to its growing population and power the economy. It was only a matter of time before the rising energy demand would cause the country’s dependence on fossil fuels to become truly unsustainable. With strong potential for solar energy, and over 300 days of sun each year, Egypt was poised to become a leader in renewable energy in the Middle East. In 2011, Ibrahim Elfeky and Mohamed Galal started following Egypt’s renewable energy market closely. A few years later in 2014, they knew the timing was perfect to launch esolar, their new business venture. Ibrahim and Mohamed began tapping into their professional networks to identify potential solar projects and grow their business. They met with community members in new neighborhoods and compounds to raise awareness about the benefits of solar energy. They reached out to large industries and small-to-medium businesses to see if solar energy could help them reduce their energy costs. 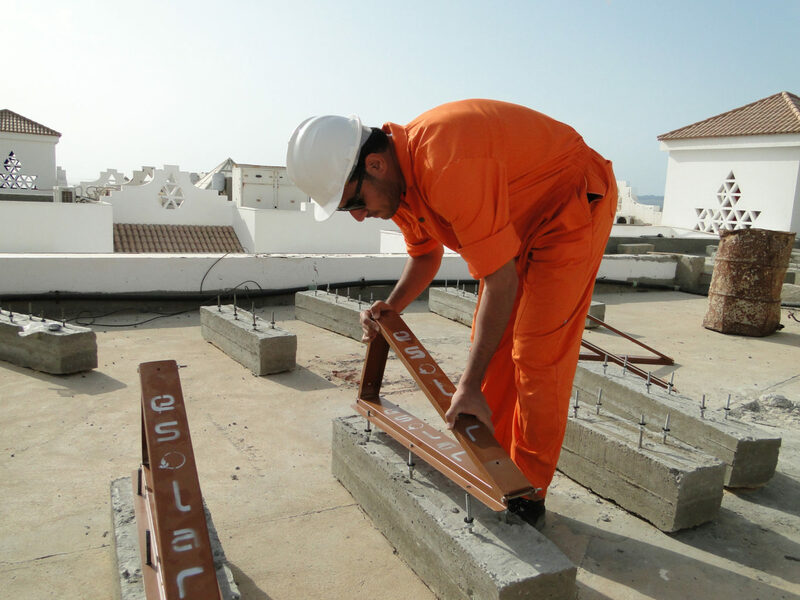 But these projects stalled due to lack of financial incentives and access to funding. 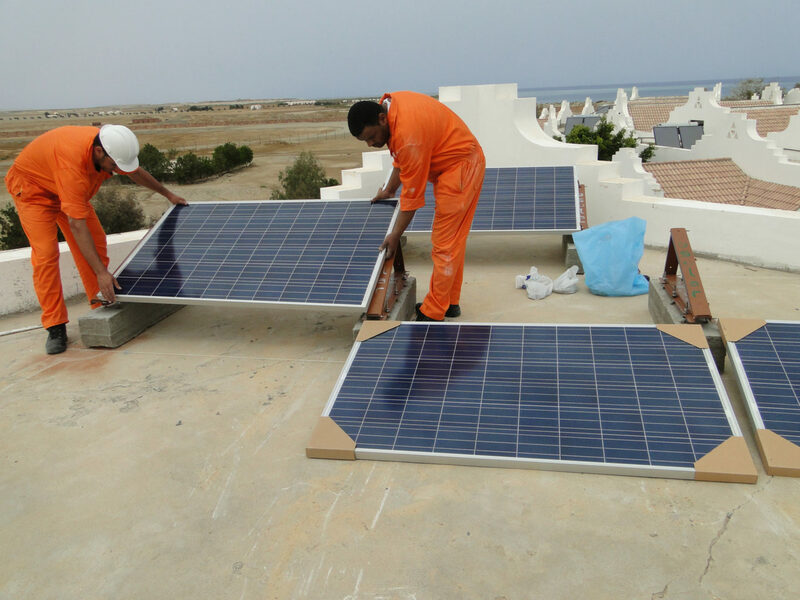 For one of their first successful projects, esolar worked with Lahmy Bay eco-resort, located on the Red Sea coast, to build a small solar system producing electricity alongside its diesel generators. 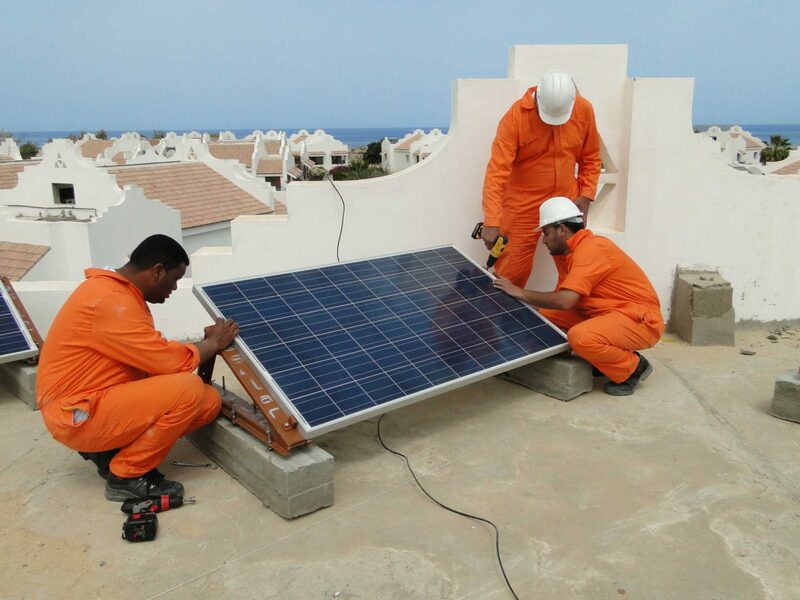 Many resorts and hotels in along the Red Sea coast are not connected to the national electricity grid and rely solely on diesel fuel to generate electricity. With prices of diesel fuel more than doubling in recent years, the case for switching to solar energy has become stronger and stronger. The solar project immediately reduced Lahmy Bay’s energy costs while strengthening its commitment to environmental sustainability. Lahmy Bay hopes to continue collaborating with esolar to design and build an even larger solar system, powering its 184 rooms with 100% renewable energy. Several resorts in the same area are following in Lahmy Bay’s footsteps, and the Red Sea coast could become a hub for sustainable energy and tourism. 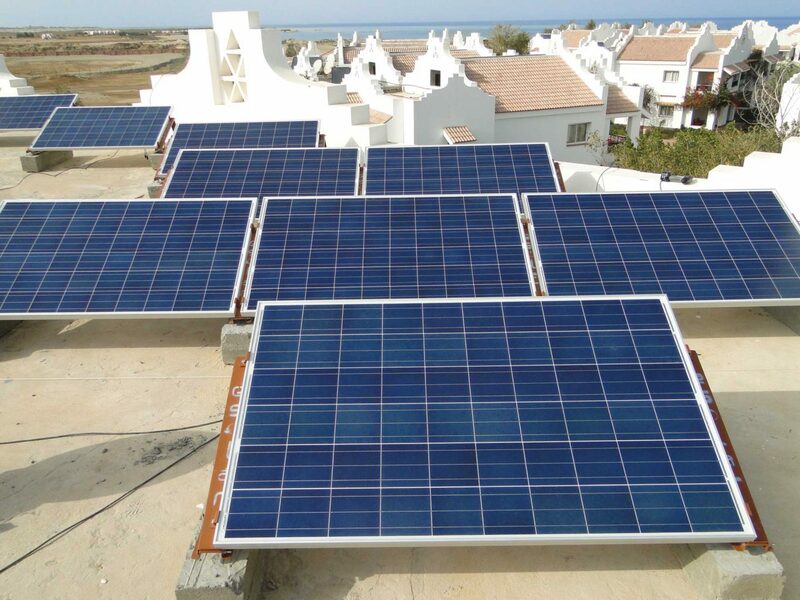 As Egypt’s tourism sector continues to struggle due to security concerns, hotels and resorts will need access to funding in order to switch to solar energy and set themselves apart as leaders in eco-tourism. Esolar has helped desert farms utilize solar energy for water pumping and irrigation. Solar energy creates immediate economic and environmental impact for these farms, which previously relied on diesel generators to pump water. 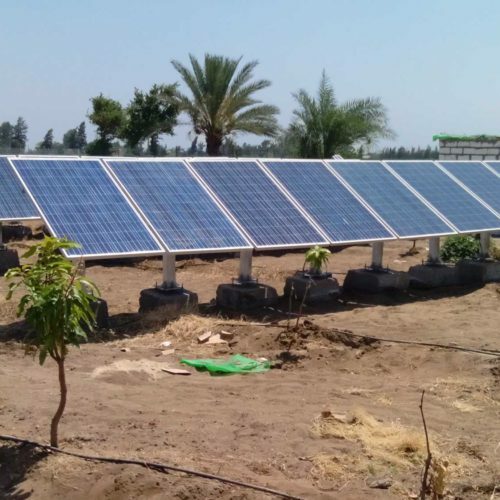 The new solar water pumps help decrease the farms’ energy costs by 60-70% overnight while reducing dependence on fossil fuels. Farm owners can recoup their investment in these solar systems within two to four years and they also invest in producing more food locally. 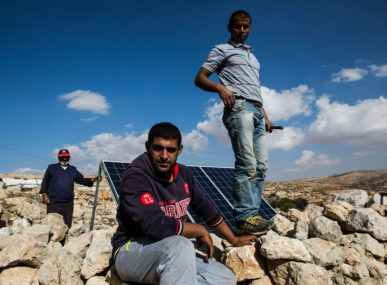 These projects create jobs for local community members who are trained to install the solar panels and for agricultural workers as the farms become more sustainable and profitable. 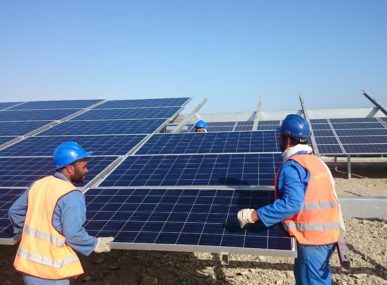 While many large-scale solar energy projects in Egypt have been put on hold, a strong grassroots demand for solar energy has emerged, driven by the success of these small solar projects. Esolar hopes to expand its projects beyond the tourism and agriculture sectors and help power Egypt’s economy through solar energy.